Includes eyebrow / no eyebrow option. Bust / no bust option. 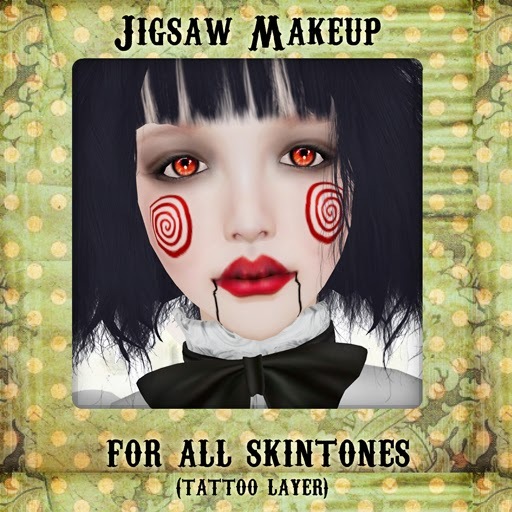 Dark and Brunette eyebrow on tattoo layer. Hi, new make-up, great for halloween. It comes in two size lip option and also for light and dark skintones. 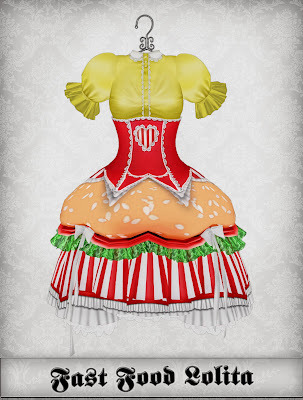 My new dress has a fast food theme, I think it will work a treat for Halloween, lol. 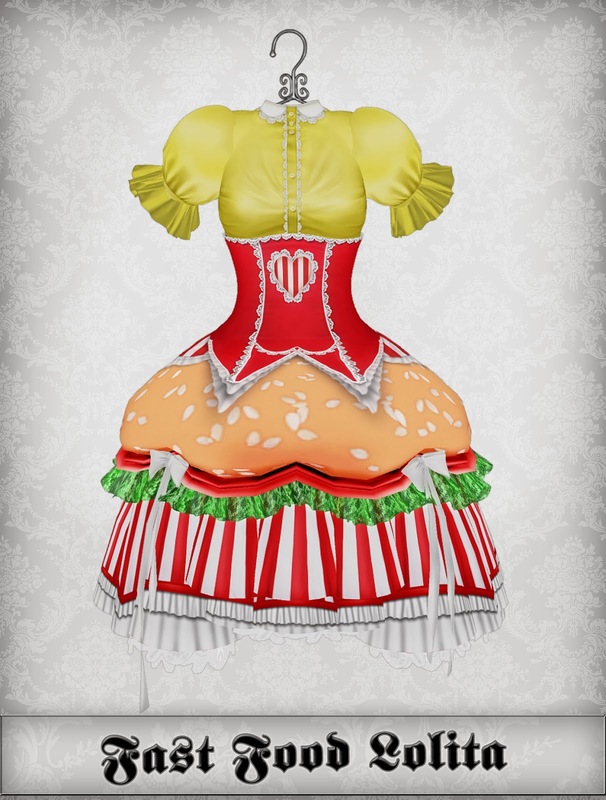 So included are the mesh corset in 5 sizes, yellow blouse, prim skirt, glitch pants, gloves, chips hat+bow, stocking and an oversized burger with a pose, but vegetarians don't panic yet; it's a bean burger!, yes I know we all need to eat less meat and more pulses!. Okie doke, so that's all for now. 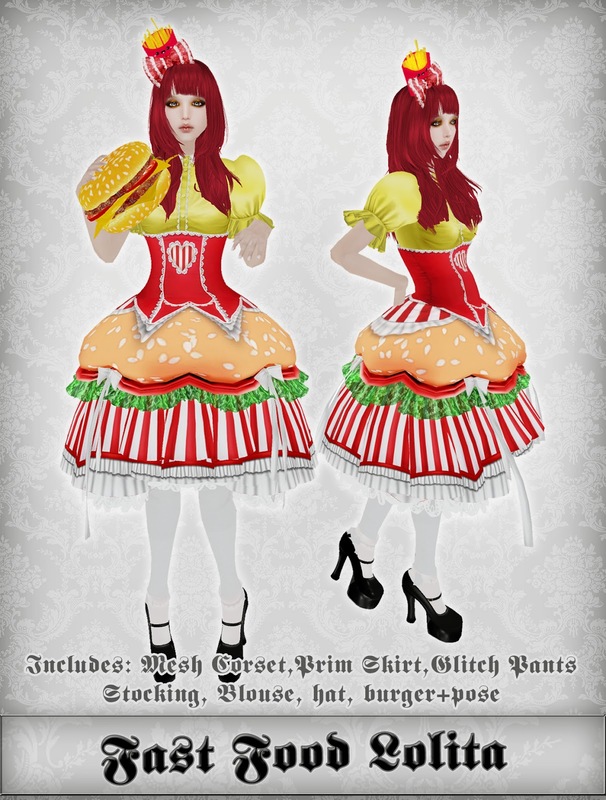 I will be getting rid of half of my shop for renovation purposes, so some older items will be gone, but I'll give notice in time in case someone wants to have a last chance at buying some of the oldies. 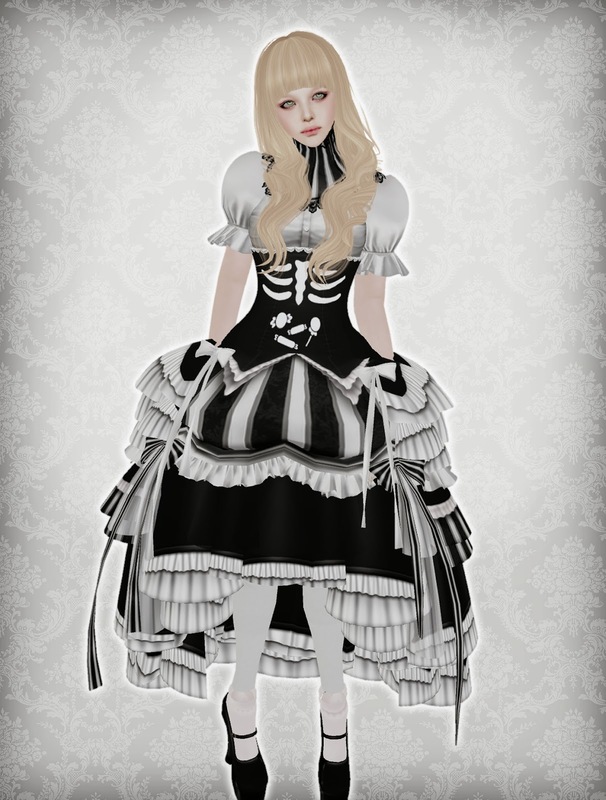 New dress in time for Halloween and a new group gift! Mesh Underbust Corset, Mesh Neck Corset, Blouse, Flexi Skirt and stocking.